The registry has formulated new policies for the registration and administration of .IN domain names. The goal is to make .IN domain names easier to use, and a way of making the Internet available to more Indian citizens. These policies generally take effect January 1, 2005. General policies are listed below. Below prices are wholesale prices to Registrars in INR per domain year (Registration, Transfer and (Auto-) Renewal). Registrars are free to set whatever retail prices they wish for new creates, renewals or RGP restore. Please see the site of each accredited registrar. These pricing are applicable to the .IN as well as all the Internationalized Domain Names (IDNs) managed by IN Registry. DISCLAIMER: If you are unable to see the Rs. Symbol above, please update your browser with the latest fonts to display the rupee symbol. The following zones are reserved for use by qualified organizations in India. Term: Effective 15:00 UTC on 16 October 2008 domain names may be registered for a minimum of one (1) year, and a maximum of ten (10)years. 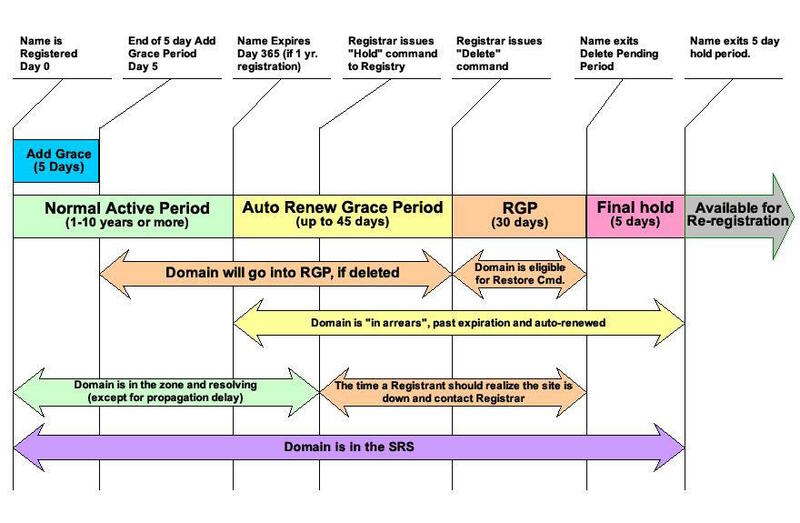 Autorenewal: Domains automatically renew at the end of their term (the expiration date). Please contact your registrar for details. Domain length: .IN domain names may be between 3 and 63 characters in length. accepted in a domain name. Names cannot begin or end with hyphens. Contact information: Registrants must provide true, accurate contact information. The following contact types are required: Registrant, Administrative, Technical, Billing. As per standing policy, the contact data will displayed in the .IN WHOIS, except for the Billing contact data, which is not displayed. Transfers: For names in the unrestricted zones mentioned above, registrants are allowed to transfer their domains to the registrar of their choice. Registrants should contact their registrar of choice to learn about transfer procedures. Registrar-to-registrar transfers are not allowed in the 60 days following the creation of a domain name. A registrar-to-registrar transfer adds one year to the term of the domain name, charged to the gaining registrar. Registrars may therefore charge the registrant for the domain year. Grace periods: certain grace periods exist to allow for the cancellation of transactions by registrars within certain time periods. Please contact your registrar for details. Nameservers: to register a .IN domain, the registrant does not need to provide nameservers. In order to appear in the zone file and resolve on the Internet, at least one (1) valid IPv4 or IPv6 nameserver must be associated with the domain name. The use of at least two valid nameservers is highly recommended. Internationalized domain names (IDNs): The registry plans to accept IDN registrations in the future, including IDN registrations in Hindi, Tamil, and other Indian languages. Until further announcements, no applications for domain names in internationalized script (including diacritical marks) shall be accepted. Domains with hyphens in the third and fourth positions will be rejected. The registry has the authority to deny or suspend a registration if it conflicts with the sovereign national interest or public order. The Registry Operator reserves the right the adjust the allocated bandwidth and connections alloted to the registrars. a list of names for government and registry use.